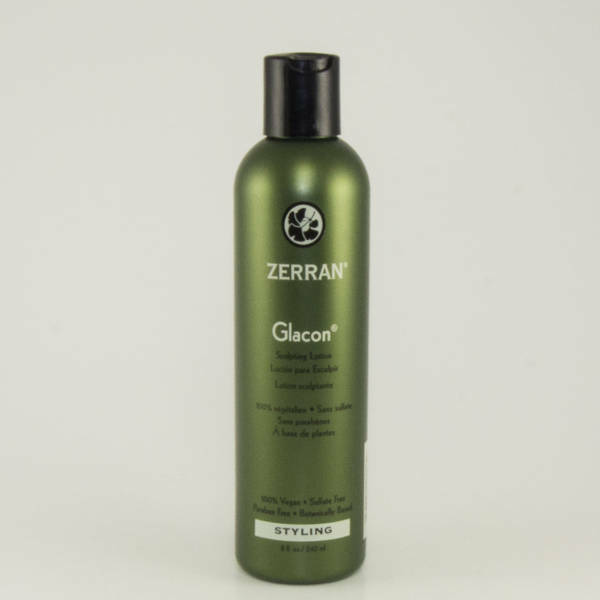 Chelating treatment gel for complete clarification of stubborn chemicals, trace metals, medications and salts. Serves as a liquid swim cap when applied to dry hair. Double-duty clearing treatment! 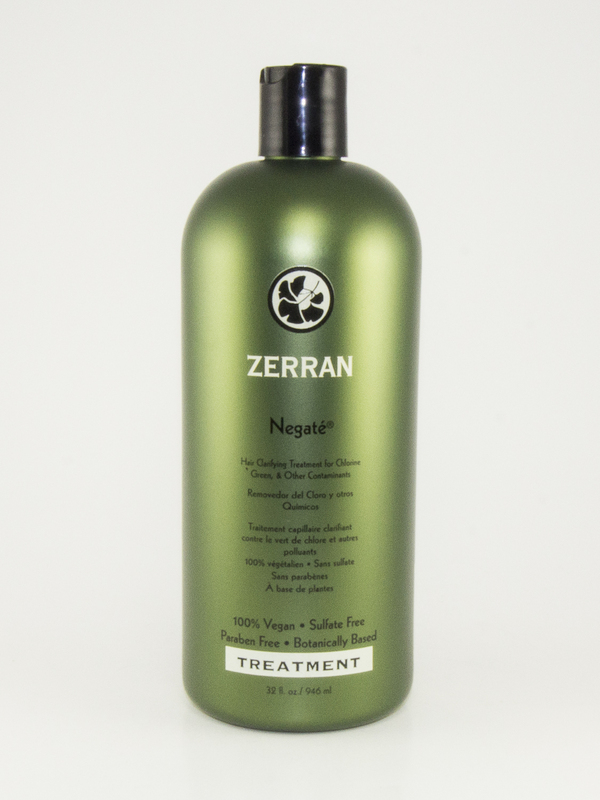 Used on wet hair before Initiate Clarifying Shampoo, Negate grabs even the most stubborn mineral and chemical deposits for the ultimate in cleansing. Applied to dry hair before freshwater, pool or saltwater exposure, Negate seals the hair shaft, stopping minerals and contaminants from getting in. The treatment is formulated with chelating agents that remove and eliminate chlorine green, cosmetic coatings, trace metals, medication, and salts. Use Negate to gently condition and restore hair to its natural state. This water-resistant liquid swim cap can be shampooed out with any Zerran shampoo. Shampoo the hair with Initiate, rinse and towel dry. Apply an ample amount of Negate throughout hair and leave on for 5 minutes. Add Initiate shampoo directly over the Negate, lather, then rinse thoroughly. Apply an ample amount of Negate throughout hair, cover hair with a plastic cap under a warm dryer for 5-10 minutes. Add Initiate shampoo directly over Negate, lather, then rinse thoroughly.